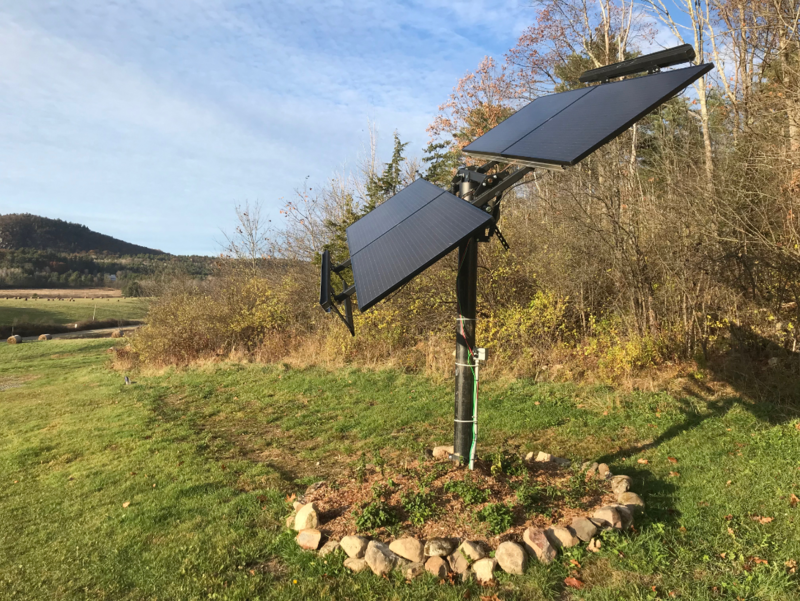 For clients who need to harvest the most energy from the fewest solar panels, nothing beats a pole-mounted tracker system. This off-grid system feeds a storage system for a small seasonal cabin. This tracker from Zomeworks pivots with the sun all day by means of thermal expansion chambers. No motors to fail! Just passive thermal expansion and contraction of gas filled chambers. In the photo shown here, the tracker has tilted itself toward the west to follow the afternoon sun. Each morning, the black fin on the right side heats up and pushes the tracker back to the east to face the rising sun. 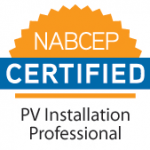 Following the sun improves the energy harvest 20 to 30% over a fixed-tilt roof or ground-mounted solar array. Tracking the sun gives your solar panels more hours per day of facing the sun as it passes overhead.